The PBT stages an acclaimed version of Romeo et Juliette. Pittsburgh Ballet Theatre artistic director Terrence Orr says the company's Feb. 12-15 production of Jean-Christophe Maillot's Romeo et Juliette will be the highlight of PBT's season. It is my opinion that if PBT can match the skill and passion of Maillot's own company, Les Ballets de Monte Carlo, in its performances of the ballet, it will also be a defining moment in Orr's 12-year tenure with company. Area audiences may remember the award-winning Maillot and company's riveting Pittsburgh Dance Council production of Cinderella, last February. Maillot's Romeo et Juliette (1996) is considered by many to be his finest work. 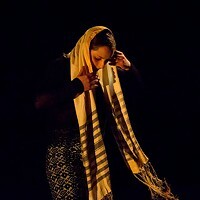 Maillot breathes new life into Shakespeare's tragedy about the star-crossed lovers with a unique contemporary ballet telling that unfolds through the eyes of Brother Lawrence, the friar in Shakespeare's tale. Romeo et Juliette is set to a slightly reordered version of Prokofiev's score for the ballet, to be performed live by the PBT orchestra. 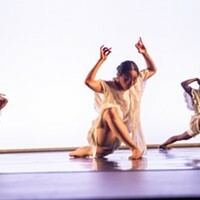 The ballet makes good use of Maillot's signature choreographic style, which relies on vivid gesture and expression to move the story, and impeccable technique and precision from its dancers to deliver its artistic grandeur. Judging from a DVD of Maillot's company in the ballet, there is a tender elegance to Maillot's choreography that pools like water over the stage. Dancers appear to swim in it, and viewers (including me) are drawn willingly to want to drown in it. "Juliette is the driving force of the ballet," says PBT soloist Alexandra Kochis. "She is not a demure, shy girl in this version. She is comfortable with her womanhood and is willing to go after what she wants." According to Kochis, Maillot sees Romeo as in love with the idea of being in love, and Juliette as love itself. "To me Romeo and Juliette in this ballet are like two magnets, on the one hand attracted to each other, and on the other pushed apart because of the fear of their emotions," says Kochis. Kochis and principal dancer Christopher Budzynski (who's Kochis' spouse) will make their debut in the ballet's lead roles on Feb. 12, performing them again Feb. 14 and 15. If Maillot's Juliette is a slightly more aggressive character than in traditional ballet versions, says Budzynski, his Romeo "is a bit more romantic," giving ground to Juliette to steer their relationship. As in the original story, the ballet takes place in village of Verona. Set-designer Ernest Pignon-Ernest gives the village a modernist feel with a minimalist, modular set inspired by a Moebius strip. The ballet also features the familiar cast of characters, including Romeo's mischievous friend Mercutio, combative Tybalt, and a host of the Montagues and Capulets. Simply stated, if you like ballet in any form you will not want to miss this.